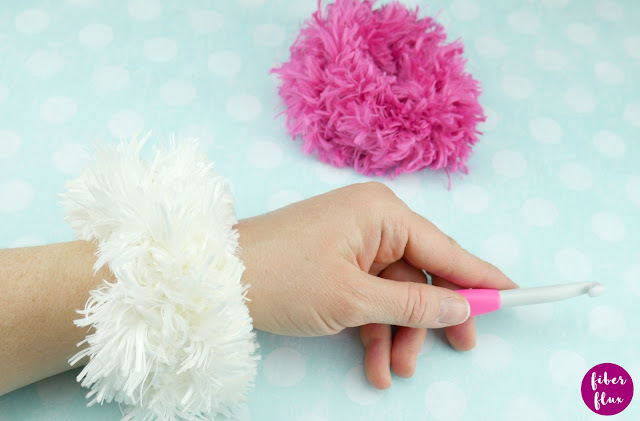 Crochet scrunchies are fun and fast little projects and faux fur yarn is super popular right now! Here is a fast little crochet pattern that combines the two to make a cute hair accessory that is fun to make and fun to wear too! Love Red Heart Fur Yarn? 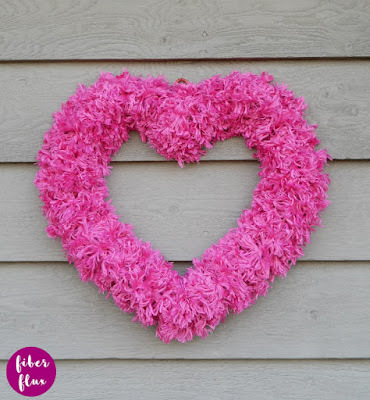 Check out my Fluffy Heart Wreath! Love scrunchies? Check out my other scrunchie pattern too! Tie yarn to hair elastic and chain 1. Work single crochet all the way around until entire hair elastic is covered. For maximum coverage, push stitches over as you work. 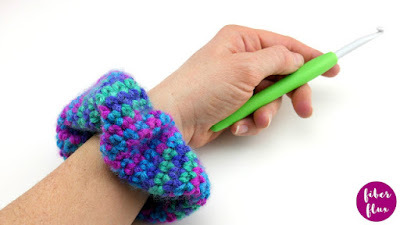 Join with a slip stitch to close round and weave in ends.